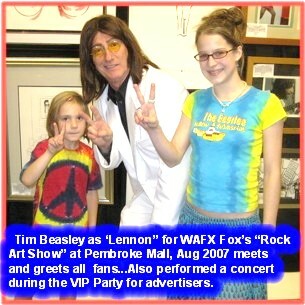 Tim Beasley is a professional and nationally performing John Lennon look alike impersonator and Beatles tribute artist delivering a startling impression of John Lennon. 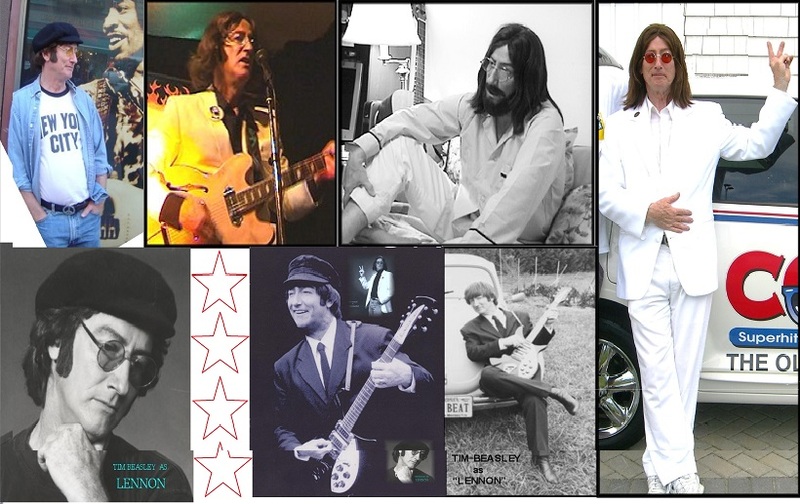 His ability to impersonate John Lennon in all dimensions of voice, looks, personality and actions moves many Lennon and Beatles fans to remark "You’re just like Lennon!" See the grand photo album featuring many actual events as you scroll down from here! 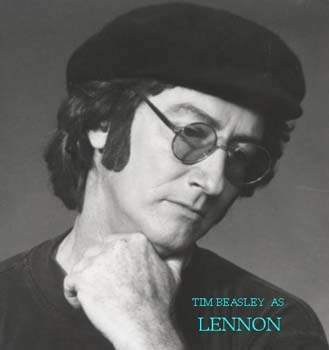 Also, here's a direct link to a video of Tim as "Lennon" so you can see and hear how remarkable an impersonation tribute this is! 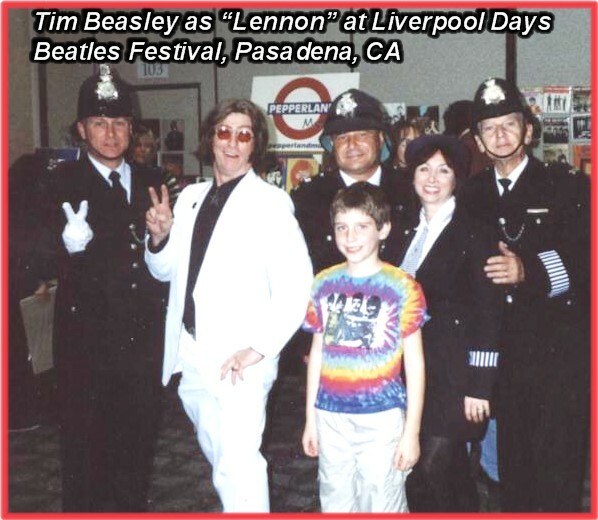 In "Lennon" Tim Beasley performs selections throughout John Lennon’s vast works, including the early Beatles years of Liverpool, the U.S. "British Invasion," the "Summer of Love 60’s" and the solo "Double Fantasy" years. 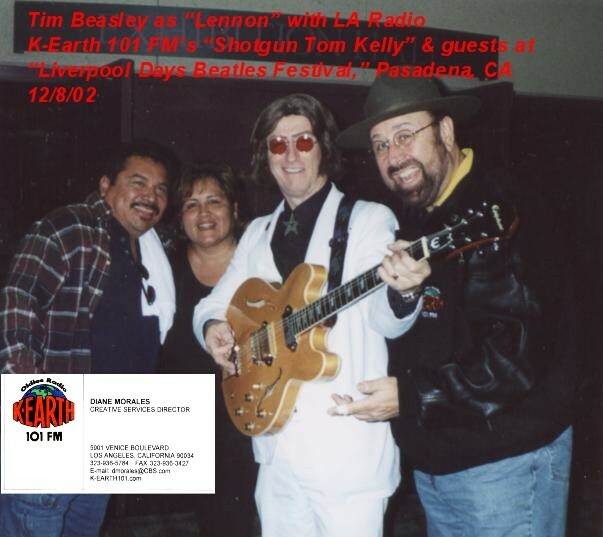 The show begins with Tim in mop-top, black suit and Beatle boots performing those great rockers from the earlier Beatles albums "Meet the Beatles," "Hard Day’s Night," "Help!," "Beatles ’65" and "Rubber Soul." 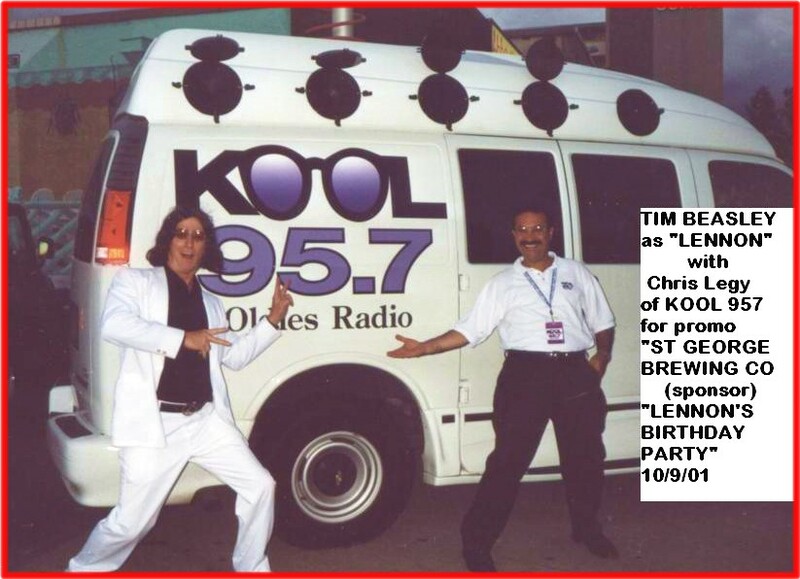 After a brief intermission, the show resumes with Tim in John Lennon’s Abbey Road hippy summer of love look white suit, sneakers and iconic long, center-part hair and granny glasses. 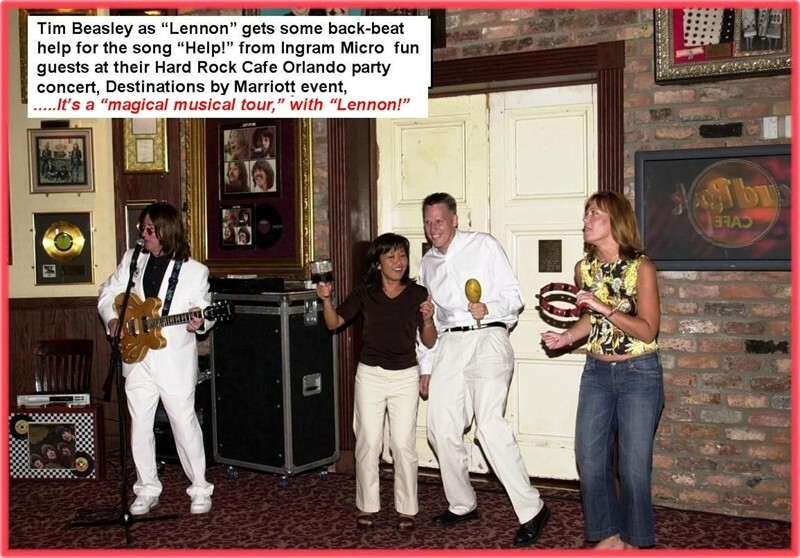 The songs are a grand collection from "Revolver," "Magical Mystery Tour," "Sgt. Pepper’s," "Abbey Road," "The Beatles" ( White Album ) and "Let It Be." 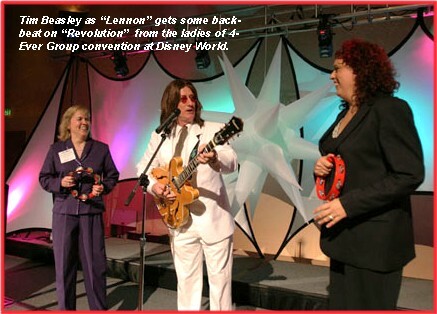 The obvious ending to the show is John Lennon’s most revered song, "Imagine." 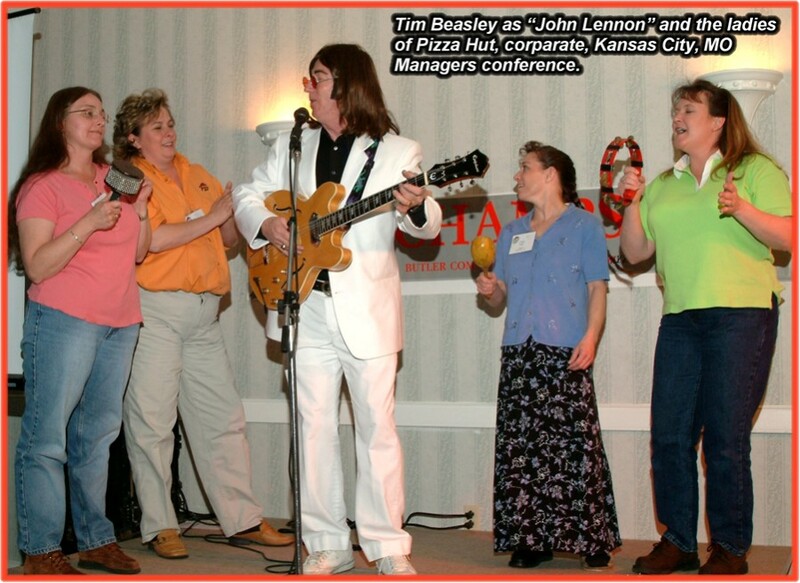 Tim has performed coast to coast as "John Lennon" for many Fortune 500 companies, nationaL brand name products and services, also nationally for world famous venues like The Hard Rock Café Orlando, Disney World Coronada Springs Resort, Universal Orlando's CityWalk Entertainment Complex, and Clear Channel -Live Nation Entertainment's "Legends Of Rock And Roll." 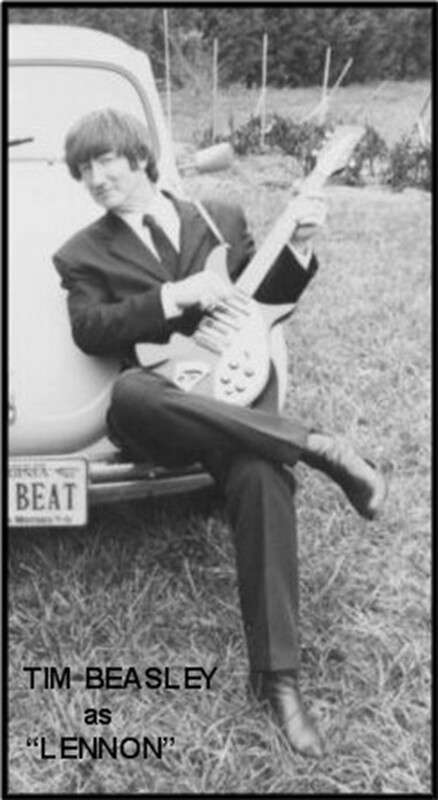 Also, his "Lennon" has performed repeatedly for Beatles festivals from Pasadena, CA, to Cleveland, OH, from FL to NY....Oh, and not to forget his very unique wedding reception - wedding anniversary performances called "All You Need Is Love!" (see more on this furher in this page). 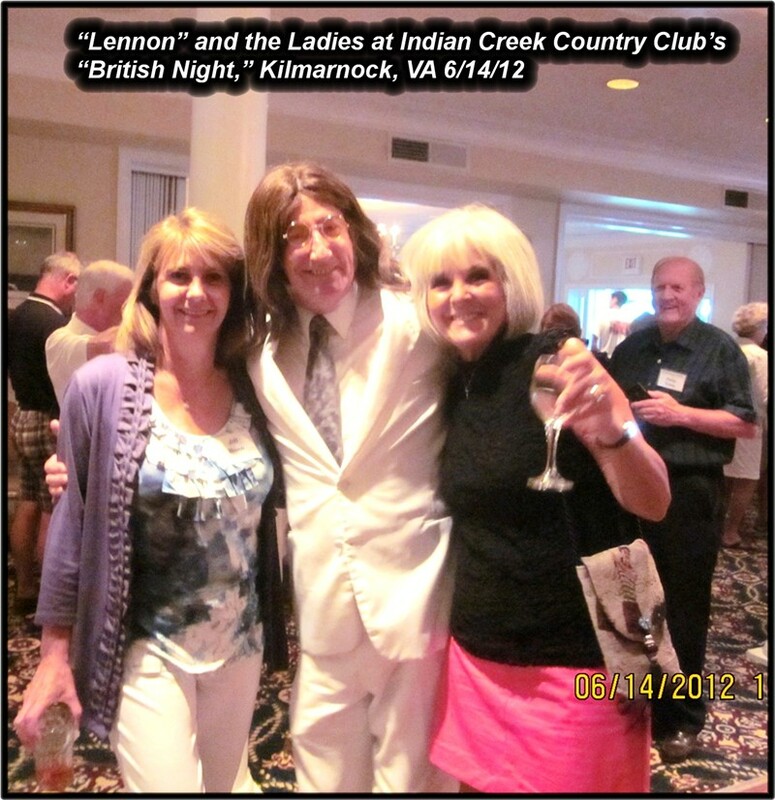 Host Virginia Beach’s "British Invasion Festival"
"The Art of John Lennon" national benefit tour for "Operation Smile"
MCI COM. 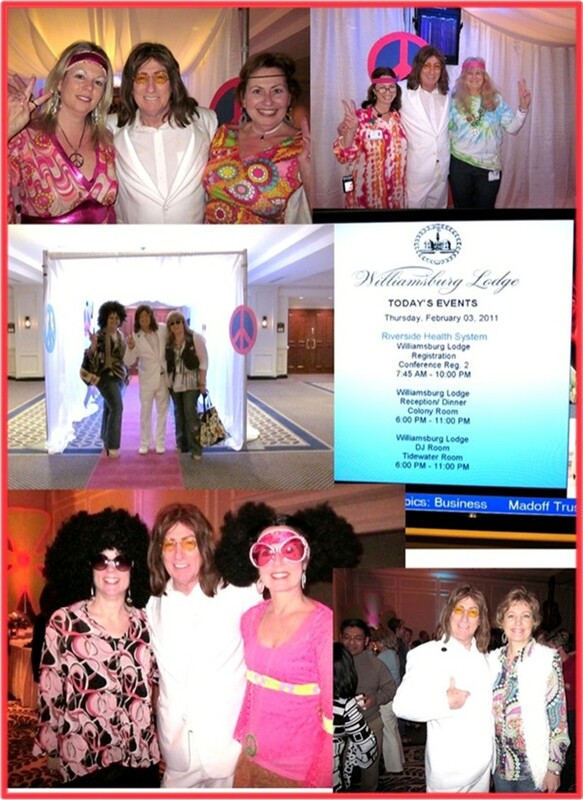 "London Offices Celebration"
STIHL, Inc., "Night with the Stars"
30th Anniversary "Beatles on Ed Sullivan Show"
Event guests love to get photos with "Lennon" and even join him onstage! "I Feel Fine," "From Me To You," "It's Only Love," "I Should Have Known Better," "In My Life," "Imagine," "Eight Days A Week," "Ballad Of John And Yoko," "Twist & Shout," "Lucy In The Sky," ...many more! 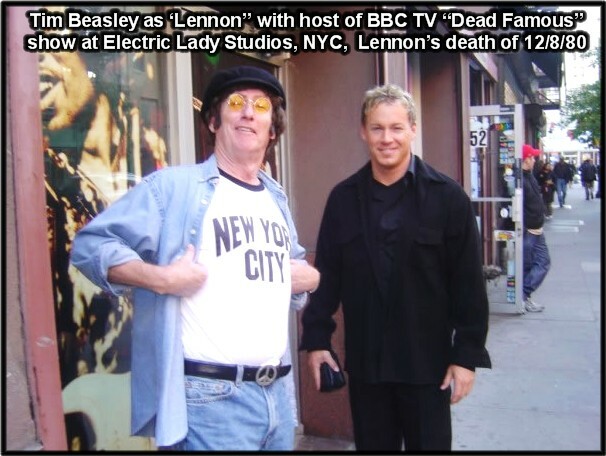 Below is a video player with 4 videos of "Lennon" appearances and song performances. All 4 will play. one after the other, so grab your favorite beverage, a snack and enjoy the show! 1. The first is a collage of different events. 2. 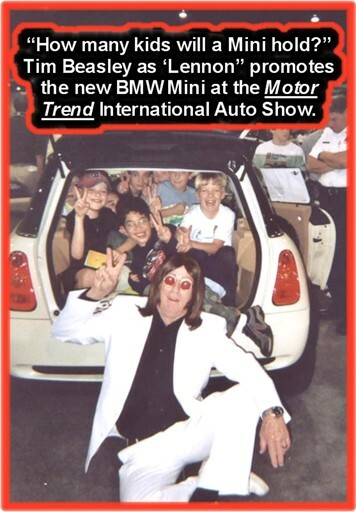 The second is a TBC Stars Gram fun greeting! 3. 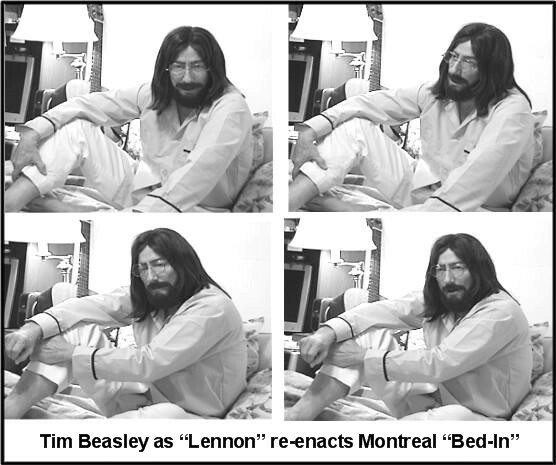 The third is a re-creation of the famous Montreal Canada "Bed In" peace demonstration. 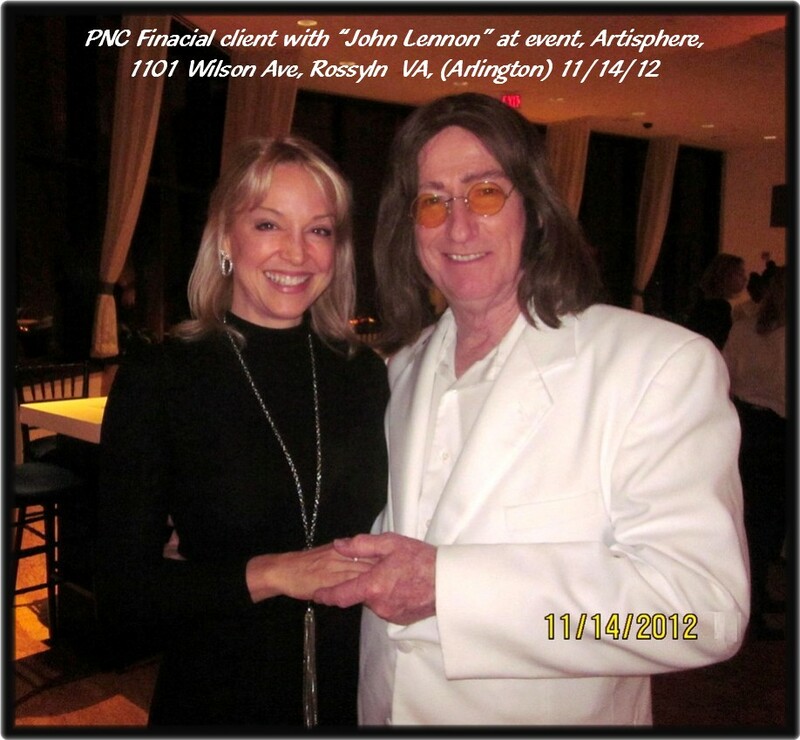 "John Lennon's Birthday Party" every October 9!!! John Lennon Memorial every December 8. 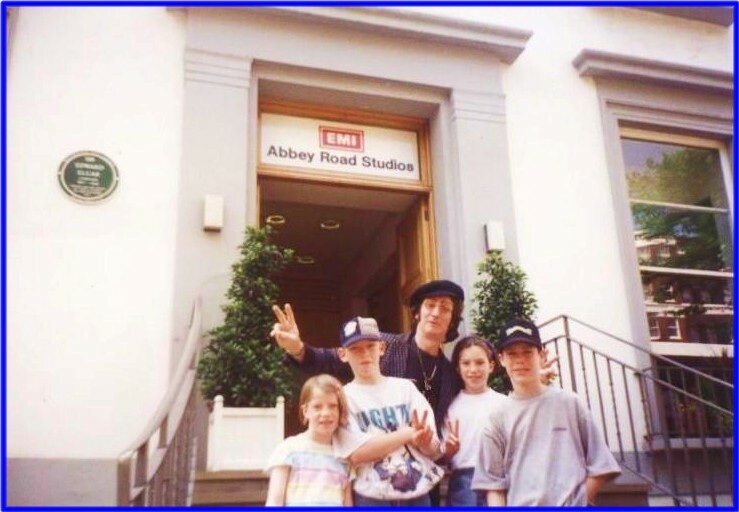 On the steps of the world famous Abbey Road Studios, in Westminster (London) UK with young Beatles fans. This is where the Beatles began their recording history as the world listened in, on and on...still a world top tourist attraction for over 50 years! Please call...we love to talk! 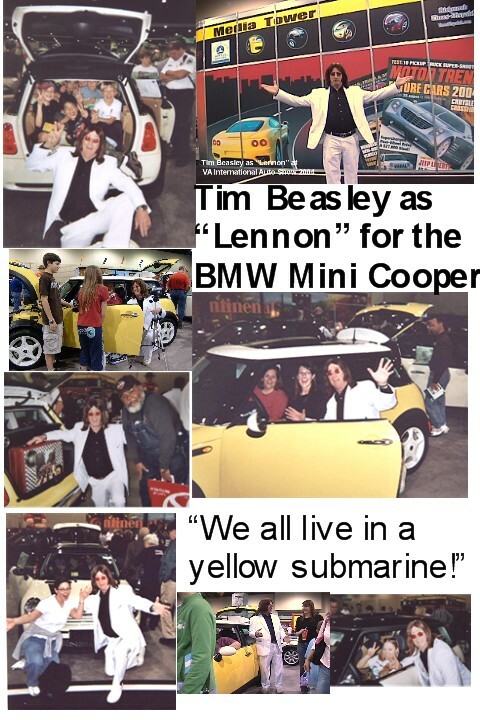 Copyright ©2019 - Tim Beasley - Vegas Tributes - All Rights Reserved.